Here at Aerpro, we make sure you have what you need to complete your car's stereo system installation or simply to make it work according to its design intent. So if something doesn't fit, look for an adapter here. The AP317 speaker spaces are designed for 6 inch by 9 inch speakers. Up to a depth of 78mm for speakers. Provides extra space to mount speakers in areas with insufficent space. 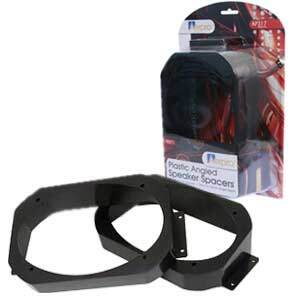 Extenders to suit 6 x 9" speakers enable you to angle the speakers towards the front of the vehicle. Blister packed. 152mm x 228mm. Angles the speakers towards the listening position. Raises speaker by 38mm (bottom of angle) to 78mm (top of angle).